Today in Masonic History Thomas Taylour, Earl of Becktive is born in 1844. Thomas Taylour, Earl of Becktive was a British peer and politician. Lord Becktive was educated at Eton and Christ Church, Oxford, England. Lord Becktive entered Parliament in 1871 for Westmorland, a county in the north of England, replacing his father in the seat. In 1885, when the constituency was abolished, he gave up his seat. He would then serve as the representation for Kendal, Westmorland until 1892. In 1868, Lord Becktive served as High Sheriff of Westmorland. Lord Becktive was a Freemason and was the Grand Sovereign of the Masonic and Military Order of the Red Cross of Constantine and the Appendant Orders of the Holy Sepulchre and of St John the Evangelist, generally referred to as the Red Cross of Constantine. The Grand Sovereign is the head of the Order. 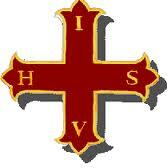 It is open to Freemasons of the Christian faith who proclaim their belief in the power of the Holy Trinity. Membership in the Red Cross of Constantine requries membership in craft lodge, or blue lodge, masonry and memebrship in the Royal Arch Freemasonry, part of the York Rite bodies of Freemasonry.